Need a refreshing tuna salad recipe to serve at brunch? 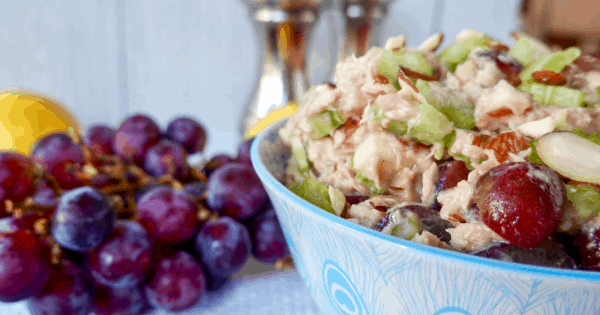 Our Delicious Apple Grape Almond Tuna Salad Recipe is yummy! 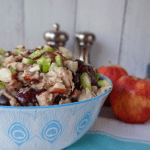 It has savory tuna, sweet apples, grapes and sliced almonds for an added crunch! This recipe is perfect for family gatherings or to serve as a whole meal either in a sandwich or over salad greens. 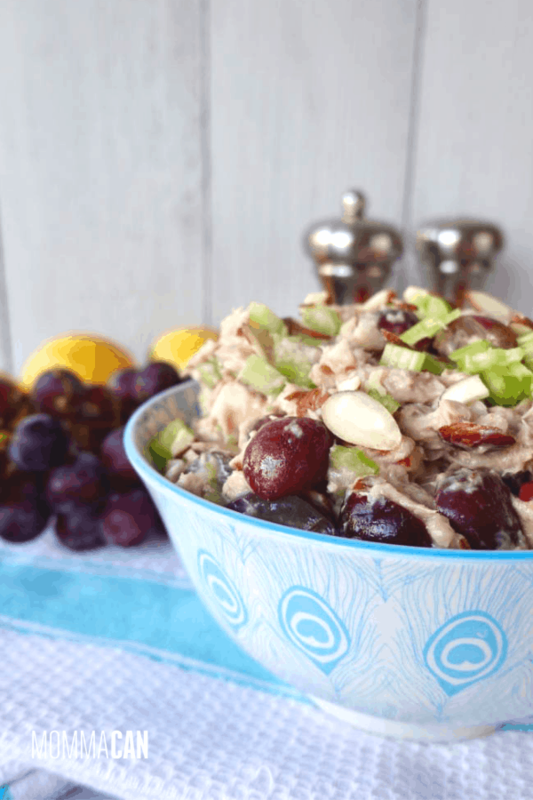 Our Apple Grape Almond Tuna Salad is the perfect quick meal for lunch or dinner! It is full of flavor and healthy! We love making tuna salad, and usually, have it for lunch once a week. Our favorite canned tuna is Wild Planet Albacore Wild Tuna and any kind of white albacore tuna packed in water . It really makes the best tuna salad. I occasionally use one packed in olive oil for other recipes. This tuna salad recipe is extra yummy because it is filled with juice grapes and chopped apples. To add a little extra yum, you can add a hand full of plump golden raisins. But heck the recipe is perfect as is, so try it as written first! 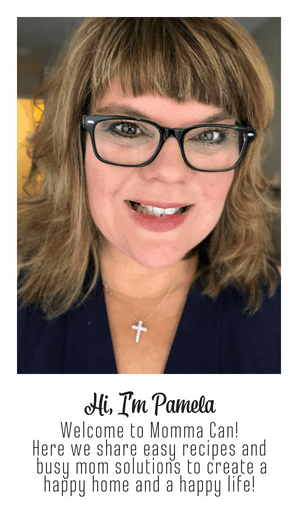 We are lucky to live near Napa wine country so grapes are a big deal and when wine grapes are in season you can’t help but want to have recipes that compliment all things Napa! Tuna salad is always best when it has the tang or tuna , the sweetness of fruits or relishes, and the crunch of vegetables or in this recipe sliced California almonds and crunchy diced celery. You can zap this Apple Grape Tuna Salad into a yummy Paleo or Whole 30 meal by using Paleo Mayonaise or nice olive oil. This will keep you on track with your health goals while enjoying a truly yummy tuna salad meal! Serve it over a variety of salad greens to get all those yummy nutrients. Let make some Apple Grape Almond Tuna Salad!